LAVA will attend EuroCIS, Düsseldorf, the leading trade fair for retail technology. We will offer you a 360° experience into the future of retail, where both physical and digital solutions meet to improve your workflows and boost your revenues. Discover how LAVA latest applications guide you through an engaging digitalized journey that includes self-service tablet kiosk, cashless payments, mobile loyalty and a wide variety of integrations enabled by our SimulCharge/Sync and Battery Modulation-enabled adapters. Visit LAVA at EuroCIS 2019! 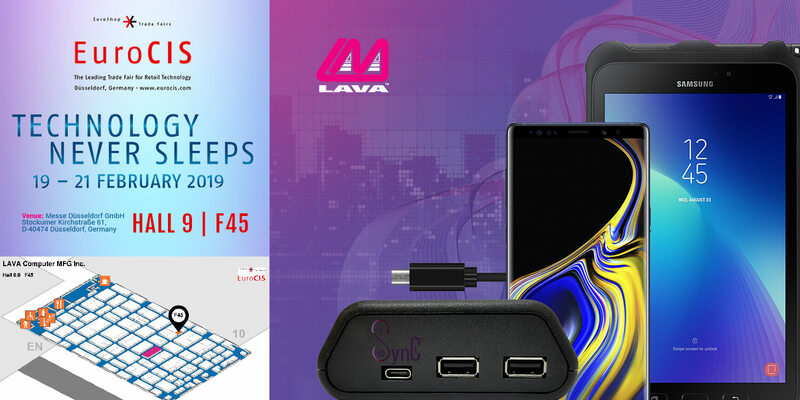 Sign up for the LAVA Newsletter and get an all-access invitation to LAVA's special promotions, events, and services, exclusive to LAVA Special Offers subscribers.